Southern Railway RRB Chennai has invited Apprentice Posts application for the recruitment of 862 Apprentice vacancies at sr.indianrailway.gov.in. Who are Eligible and interested candidates may apply in prescribed application format on or before 20-06-2016. Southern Railway Chennai Recruitment 2016 Notification RRB Chennai Apprentice Vacancies list and Educational Qualification, Admit card, Results, Selection list, selection process. How to Apply for Southern Railway Chennai Recruitment 2016. 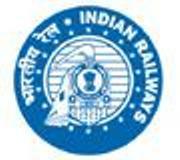 Southern Railway Chennai Jobs at Official website www.sr.indianrailways.gov.in. Southern Railway Recruitment 2016 Application Form, 862 Fitter, Welder, Electrician, Mechanic Posts. Southern Railway selection process of this RRB exam is the medical test and personal interview is the selection process of the exam. Applicants who are waiting for the Southern Railway Chennai jobs can apply for the recruitment. RRB Chennai Apprentice Posts 2016 - 862 Positions in various trades as Fitter, Carpenter, Welder, Painter, Machinist, Upholster, MMV, PASAA, Electrician, Wireman, R&AC, Winder (Armature), Cable Jointer, Electronics Mechanic, Diesel Mechanic, Turner, and Medical Laboratory Technician.